Sam McKinniss is back with a new exhibition at Team Bungalow. 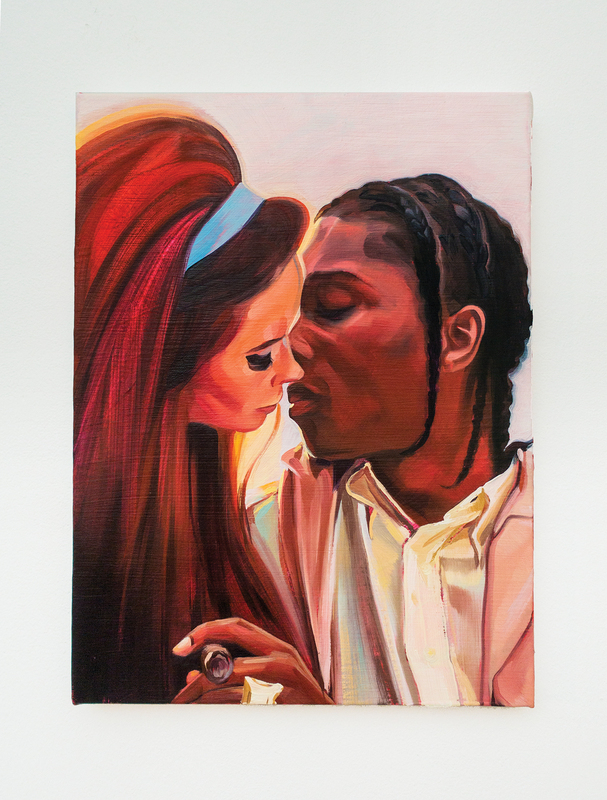 The show—DAISY CHAIN—features a portrait of Joan Didion, and gives depth to such subjects as Drew Barrymore, Lana Del Rey, A$AP Rocky, Beck by way of the late James Blake, and JonBenét Ramsey. SAM MCKINNESS—DAISY CHAIN, through February 25. TEAM BUNGALOW, 306 Windward Avenue, Venice Beach. Team Bungalow installation view, with Didion portrait. Sam McKinniss, Lana & Rocky, 2017. Image credit: Sam McKinniss and Team Gallery. This entry was posted in ART and tagged Joan Didion, Sam McKinniss, Team (bungalow), Team Gallery on February 14th, 2018 by Barlo Perry.